In 1999, a non-profit company called MITRE was sponsored by the U.S. government to create a “Free Dictionary” to identify and catalog vulnerabilities in software and firmware. The idea behind the dictionary is to standardize and find known vulnerabilities and exposures. Going forward with that knowledge the hope is that countless organizations will discover their own systems vulnerabilities and fix or patch them before it’s too late. CVE (Common Vulnerabilities and Exposures) built off MITRE’s work, and continues to expand its findings. CVE is sponsored by US-CERT within the Department of Homeland Security and the Office of Cybersecurity and Information Assurance. Armed with this CVE catalog of shared information and updates, businesses have a roadmap of what to look for and how to fix it. With this list, there’s no reason for enterprises not to be aware of threats and patch them as quickly as possible. 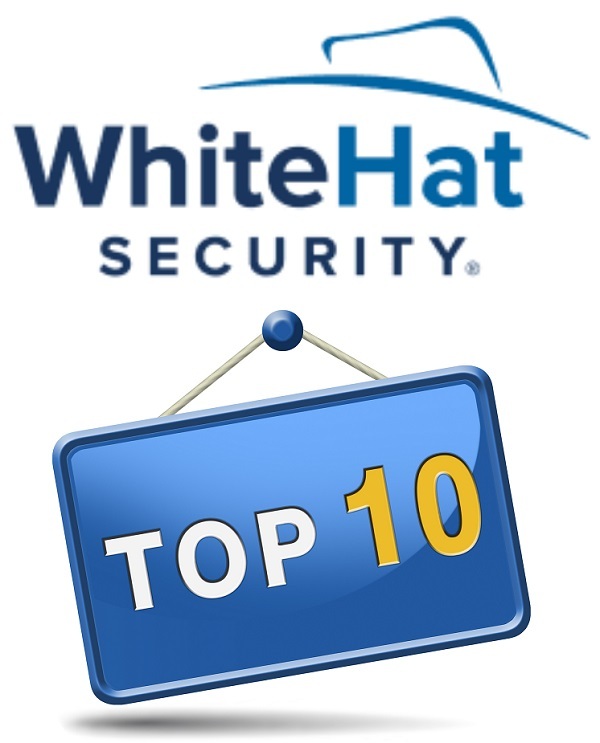 Earlier in 2019, WhiteHat Security compiled a list of the top 10 most common application security vulnerabilities in 2018.
jQuery File Upload RCE. CVE-2018-9206. This can allow an attacker to run commands on the affected servers. This issue goes back to 2015. All versions prior to 9.22.1 are vulnerable. Magecart. This is not technically a CVE, and therefore no CVE number is assigned. However, this is a card skimming attack that has hit many organizations, including British Airways, Ticketmaster, and Newegg. It allows attackers to steal payment card information. It’s serious and active enough that the authors felt it important to include in this list. WordPress DOS. CVE-2018-6989. This allows unauthenticated users to request massive numbers of files that leads to a Denial of Service (DoS) attack. Drupalgeddon 2. CVE-2018-7600. Over 100,000 Drupal websites were estimated to be vulnerable to this. It is a remote code execution vulnerability. Users should update to Drupal version 7 or 8. Drupalgeddon 3. CVE-2018-7602. As if one Drupalgeddon in a year wasn’t enough, there’s another one and it was also serious enough to make the list. This one was an extension of Drupalgeddon 2. It was exploiting the same issue, just in a different way. Upgrading to version 7 or 8 is recommended. Telerisk’s RadAsyncUpload. Again, not technical a CVE, but serious enough to include. RadAsyncUpload uses a hard-coded key. If it isn’t changed, attackers can decrypt data and modify configurations. WhiteHat recommends setting strong custom encryption keys. Spring Data Commons. CVE-2018-1273. In older unsupported versions of this, an attacker could execute remote code by exploiting the MapDataBinder class. It’s recommended to upgrade to at least 1.13 or higher. Flash Player Hack. CVE-2018-4878. There is a Flash Player issue about once a month. This one was exploited significantly in January and February of 2018 that could allow arbitrary code execution. However, it’s recommended that you just don’t allow Flash anymore. It will be unsupported soon and there are other options that don’t pose nearly the risk. Spring OAuth Approval. CVE-2018-1260. This is vulnerable to remote code execution. Again, an upgrade to a version newer than 2.3.3 is recommended. 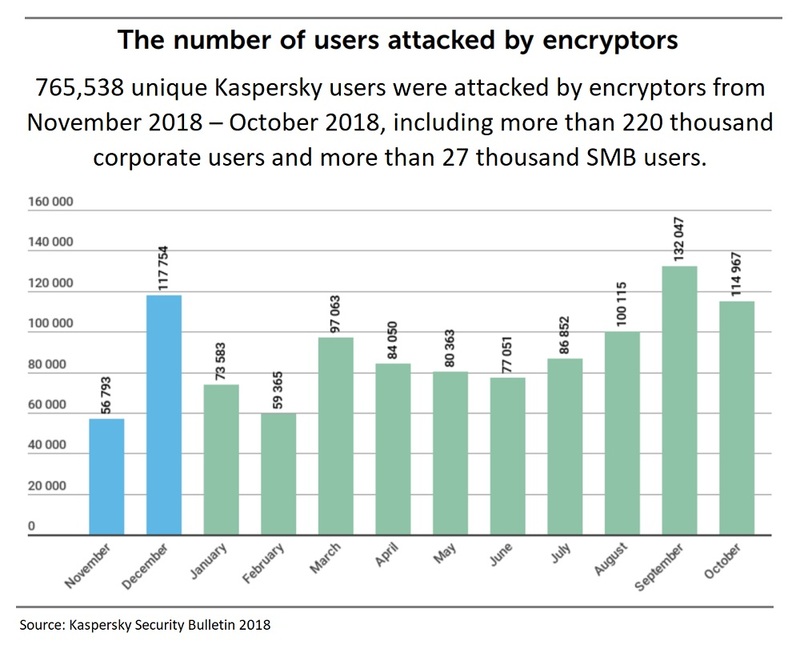 Remember that keeping systems updated with current patches and versions is a critical step to keeping your organization safe from these and other serious exploits and attacks. If you’re still using Adobe Flash Player, this is for you. But first, don’t use it. Remove the plugins from your browsers and don’t fall for the scam where you should update your Android device’s Flash Player app, because that is truly a scam. A good reason for doing this is yet another zero-day vulnerability (CVE-2018-15982) that was just patched this week. It was being exploited using a Microsoft Office document. If you still use Adobe Flash for something, make sure to update it as soon as the patches are released. Yes, it seems like there are a lot of them. That’s because there are. According to Jim Stickley at Stickley on Security, a vulnerability is found just about every single month in the product. There are so many issues with this that it's difficult to keep track. And Adobe is ending the life of it sooner than later. In 2020 to be precise. That means, that even when a vulnerability is found, they won't be fixing it, leaving those who still use it at risk. If you don’t need Adobe Flash, and few of us do these days, go into your browser settings (all of the browsers you have installed) and disable it. If you find you never need it, just delete it. Most websites have started using other technologies that are not as flawed. In this latest exploit, the document is called 22.docx according to researchers with Gigamon Applied Threat Research. If you see a document with that name show up in your inbox, don’t click on it. It was supposedly submitted from a Ukrainian IP address and pretends to be an employment application. It’s quite lengthy too; coming in at seven pages of personal questions that one would typically find on such a document. These scammers sure when to a lot of trouble with this one. What the vulnerability actually does is let a malicious Flash object execute code on the infected machine. And of course this document spreads via phishing; spearphishing to be precise. They get the information for spearphishing in various ways, but one is via posts on social media. Use caution when putting anything at all on the Internet. While you can certainly secure these accounts and limit your posts, once someone else shares or forwards something you post it is completely out of your control. Therefore, to be safe just consider anything you put online as up for grabs for anyone with an internet connection. Another way they acquire information is from data breaches. 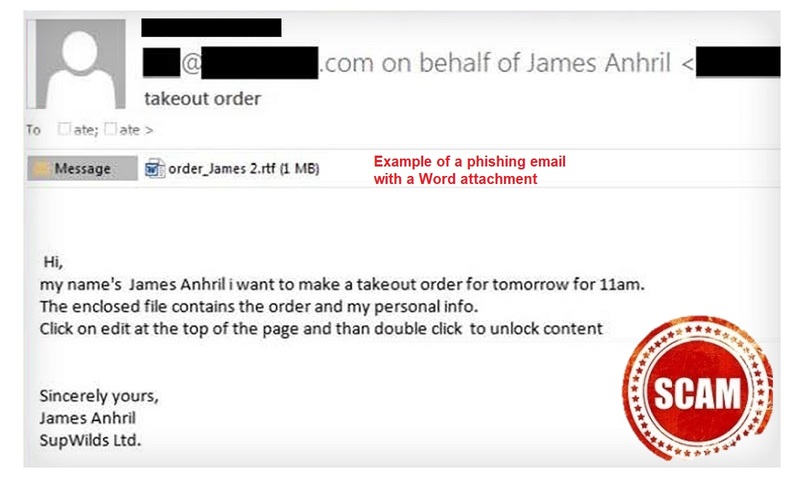 When data is accessed this way, it usually ends upon the Dark Web and can be purchased by someone who wants to commit spearphishing attacks. If they know you have a particular product, they can use it in an email to give it more authenticity. The more they know about you, the more they can make these messages appear as if they are truly tailored to you. If you’re not expecting a link or attachment, just don’t click on it. If you aren’t sure, contact the sender by phone, by text, by taking a walk to his or her desk and ask first. 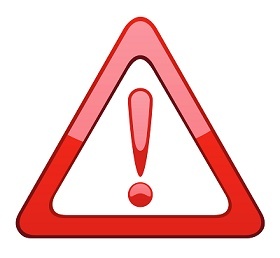 Affected products are Adobe Desktop Runtime, Adobe Flash Player for Chrome, Edge, and Internet Explorer 11 for versions 31.0.0.153 and earlier. To get the patch, go to Adobe’s website directly. They have a tool that will let you know if you need to update your product. You’ve heard it before. There’s an issue with Adobe Flash. Yet another vulnerability and it needs to be patched. Before we get into this recent issue, just understand that very little of what you do on the Internet these days needs to use Adobe Flash. It has been replaced by other products for the most part. However, in this most recent case, a legitimate Adobe Flash update is being used to illegitimately mine the digital currency Monero. Your system does all the heavy lifting and the hackers get the reward in the form of Monero. This particular bot is called XMRig. 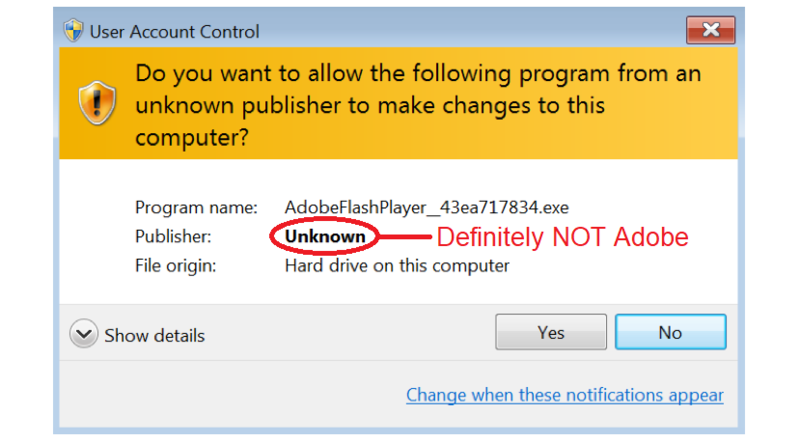 It comes courtesy of an Adobe Flash update that is hidden in spoofed URLs. 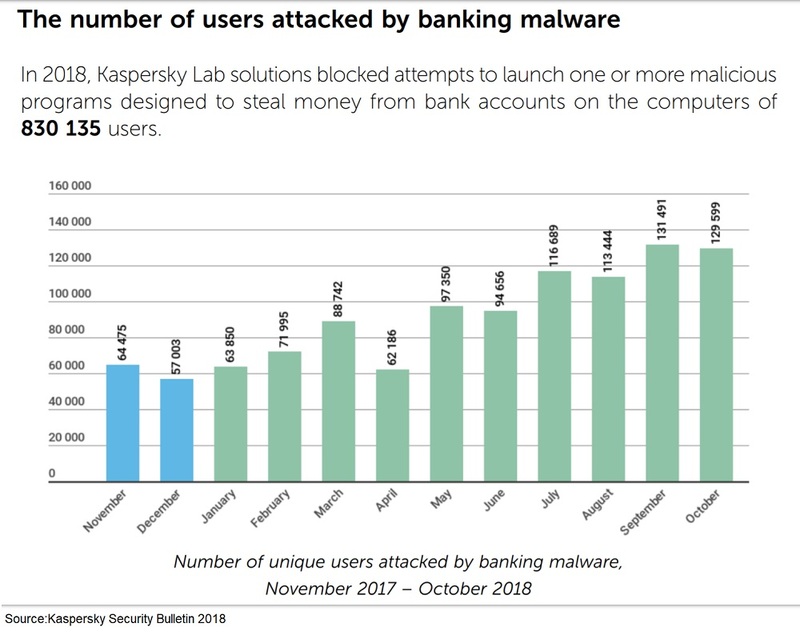 Researchers at Palo Alto Networks found 113 of these. Before going any further, disable Adobe Flash in all of your browsers. Adobe Flash is dangerous because it can directly access your computer memory. That’s just asking for trouble. Google Chrome and Mozilla no longer even support it. So go into your settings and disable it, no matter what browser you use. Once you find out that you really don’t need it, get rid of it completely. In fact, even Adobe is putting an end to Flash in 2020. It’ll still be around of course. It just will not be supported. So all of the vulnerabilities that come out involving it, will never get patched. That can open up a world of hurt for anyone still using it. You don’t need it on your mobile devices either. There have been fake Adobe Flash updates found in the legitimate stores in the past. They have been removed, but it’s not unlikely that you will see others or see these fake ones in other places. 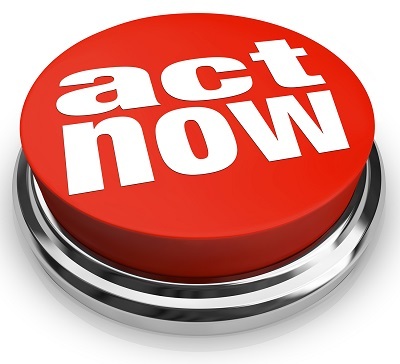 If you see a notification pop up that you need to update your Adobe Flash, don’t click it. When it comes to mining cryptocurrency, this nets the miner free money; in the form of the digital currency it’s mining. Mining is how the unregulated cryptocurrencies reconcile all the transactions. It’s as if everyone who has the currency is simultaneously balancing their spreadsheets. It takes a lot of computing power. That’s why these miners want to use other peoples’ systems. They use your machine, your electricity, and batteries and they get the Dinero! The researchers are not quite sure how users find these URLs. Suffice it to say that if you need to update any product, go directly to the developer’s website to do it. 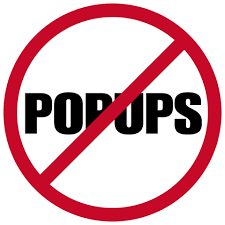 Don’t follow a link on a popup window. Those are often phishing or direct you to some type of malware. Every once in a while, reboot your computers and mobile devices. This allows the operating system to “phone home” and find out if legitimate updates are available for what is running on your system. XMRig has been making its rounds since August, according to the researchers. It’s believed that more than $25,000 in Monero has been mined using illegitimate browser-based scripts each month. There are all kinds of skimmers. It’s likely you’ve heard the term ATM skimmer. Those are devices attached to ATMs that capture the information the user inputs when using those machines. But did you know there is such thing as a digital skimmer? This is what was used to hoist information from potentially millions of payment cards during a recent attack against a popular online retailer of computer hardware and consumer electronics products. 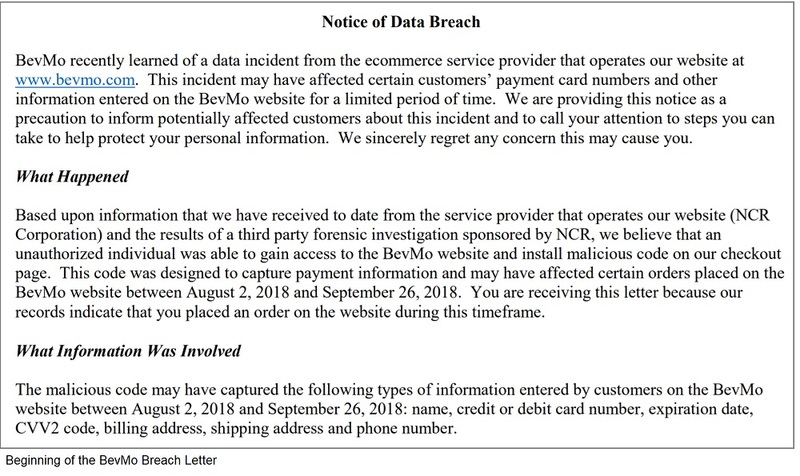 If you entered payment card details into Newegg’s website between August 14 and September 18, 2018, they may have been grabbed by hackers. It’s been reported by various sources that the same group that was behind the recent Ticketmaster data breach was also behind this. It’s being blamed on Magecart. First, if you were one that did use your card between those dates, or even dates surrounding them, you should most definitely check your payment card statements for suspicious charges. Immediately contact the card issuer if you see anything out of place. The faster you find fraudulent charges, the better and less costly for all involved. Pay attention to all charges for at least the next year. It’s possible that the information won’t be used right away, but will be placed on the dark web to be sold to the highest bidder. So don’t assume there won’t be unauthorized charges down the road due to this particular breach. A digital skimmer is code that is placed on a website intended to steal information; specifically it is placed on the checkout page of an ecommerce site. Magecart is the name you will see associated with this breach as well as with the Ticketmaster one. While it is sometimes used to describe a group of hackers, it’s also the name of the code used to perpetrate these attacks; mage.js. This code allows the attackers to steal entered information in real time. According to a study by IBM, the average time needed to identify and contain a breach of more than 1 million records was 365 days. That means that digital skimmers may be in place for a very long time before anyone even knows. Encrypt the data and use the strongest and most up-to-date encryption. This will prevent it from easily being read by skimmers. Run regular scans on websites that are externally facing, including cloud servers. This will help find potential access points, so you can close them before others find them. Keep all servers updated with the latest critical and security patches. Ensure all devices, particularly cloud servers are properly configured to be secure. There are numerous examples of improperly configured Amazon Web Services servers that have been breached just in the past year, including one with Deep Root Analytics, a data firm working with the Republican National Committee, as well as the NSA’s Red Disk program. Misconfigured MongoDB is also a popular target for attackers wanting to spread malware. This Newegg attack affected desktop and mobile users who made purchases with cards during that timeframe. A number has not been released as to how many were affected. It’s possible it could be in the millions.